When your car painting gets that opaque, aged look... It is time to give it a boost. 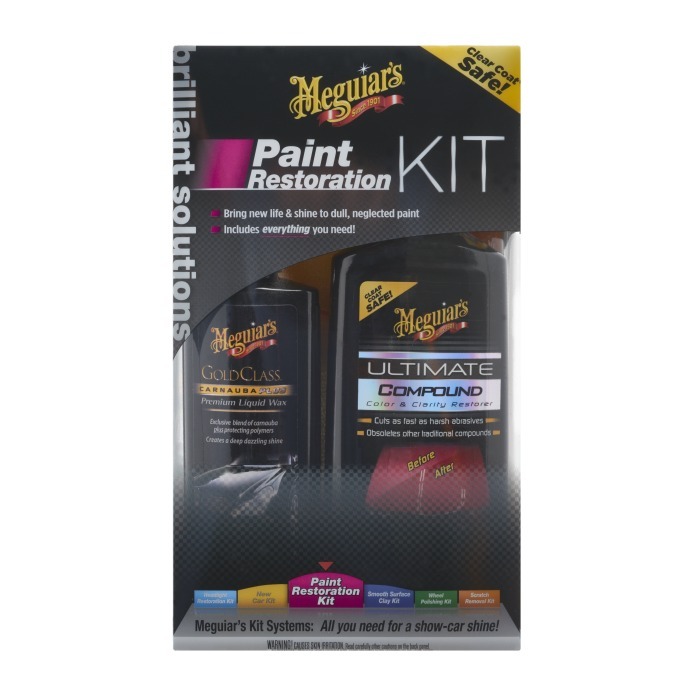 This kit has everything you need to give painting a new life. Ideal for cars which lost their original painting sparkle. All the products you need to restore painting gloss. Contains products for up to 2 applications. Simple, easy to do procedure with impressive results. Kit comprises: Washing: 1 Gold Class Shampoo (473ml). Surface preparation: 1 25g Clay bar and 1 Final Touch bottle (250 ml). Contaminant removal: 1 Ultra Compound (300ml), 1 Foam Applicator (X3070) and 1 Microfiber Rag (X2010). Shining/Protection: 1 Gold Class Liquid Wax (175ml), 1 Foam Applicator (X3070) and 1 Microfiber Rag (X2010).